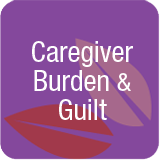 Caregiver Burden & Guilt – Significant emotional challenges are experienced by caregivers who desire to offer support, but for one reason or another find interactions challenging. Some feel guilty because they cannot do enough. Others feel guilty because of damaged family relationships. Others simply feel trapped by caregiving situations that have changed their life significantly. How do we close the gap between the level of care needed and what we’re physically and mentally able to provide? Work habits, skills and attitude determine whether you love or hate your job. Closing learning gaps increases job satisfaction and teamwork.